The Expedition 43 crew is wrapping up the remodeling of the Leonardo Permanent Multipurpose Module (PMM) at its new location on the forward port of the Tranquility module. The station residents also participated in maintenance and experiments exploring the long-term effects of living in space on the human body. Commander Terry Virts and One-Year crew member Scott Kelly are finalizing configuration tasks in the PMM after Wednesday’s relocation from the Harmony module. Italian astronaut Samantha Cristoforetti was working in Europe’s Columbus lab module on advanced microgravity plumbing tasks. 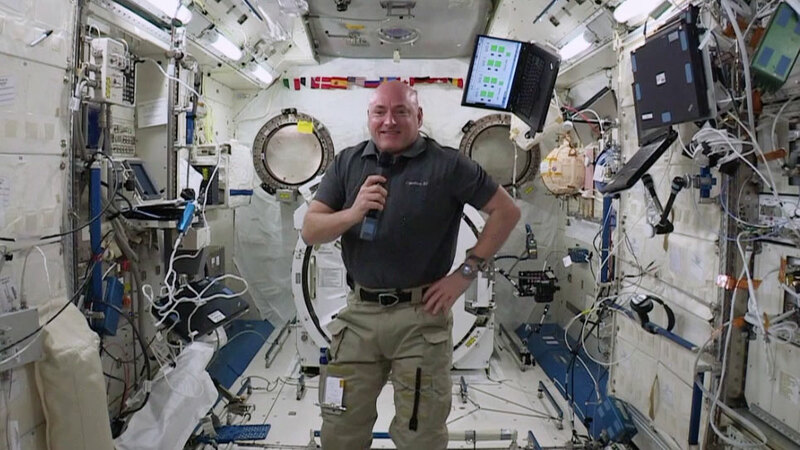 One-Year crew member Mikhail Kornienko teamed up with Flight Engineer Gennady Padalka for the Fluid Shifts experiment studying how upper and lower body fluid shifts affect a crew member’s brain pressure and vision. Flight Engineer Anton Shkaplerov worked throughout the station’s Russian segment on orbital maintenance. Over the weekend the crew the six-member international crew will have time to relax, exercise and talk to family members. the Western Sahara Picture sure is a good one. Greatness is still in the Earth. Gracias , por ustedes conozco parte del Universos , suerte . the good work! We will keep waving! If the voice will be uttered in the univerce.outer space station.where would it reach to.I wonder Someday will its voice be return?